One of the things that make restoring old wood floors so interesting is that they often tell a much better story of the house than any other surface. This was especially true of James & Dolley Madison’s Montpelier. The main section of the house dated to 1765. The latest addition only went back to 1810. 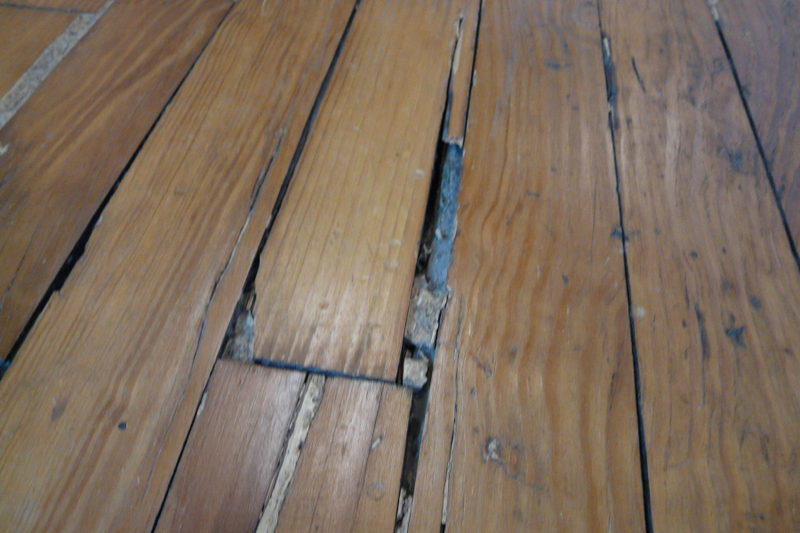 The floors were not only original; they had never been sanded. That is beyond rare; it is virtually unheard of. Since Passive Refinishing® does not involve any sanding, the surface that you uncover is exactly as it was when the old finishes and coatings were dumped on it decades (or centuries in this case) ago. By avoiding the sanding process, you don’t lose surface detail or “chapters of the story”. So, for the visitor, you are walking over the same surface James and Dolley paced over when they lived there. You get to see the rust marks from tacks and brads used to hold down floor cloths. There are fade marks where walls came and went. In the main parlor, there are indentations from furniture. Throughout the house, the floors give us visual reminders of a life rich with history. For my brothers and me, our biggest revelations came when we worked in rooms Madison was known to use for working and writing. In the second floor library, Madison did his work on the Virginia Plan, which formed the foundation for our Constitution. Later, his time was spent shaping the Bill of Rights. When we saw stains on the floor that resembled ink stains, under the many layers of finish, it brought our work to a halt and our imagination went into overdrive. We also found a larger stain, again resembling an ink stain, in the room off the dining room where Madison spent his final years editing his papers. And maybe tipped an ink well over. Whether the stains are Madison’s own, we shall never know. But that’s not the point. The point here is that because the original materials, in this case the wood floors, stayed intact, there was much to be learned. I developed Passive Refinishing® to eliminate this unnecessary loss of original material and allow a more accurate presentation of an older home. I never dreamed it would work as well as it has. Because of the work of dozens of other restoration specialists, Montpelier provides a much more vibrant story and experience of one of our nations most treasured homes. The National Trust for Historic Preservation called Montpelier the most important restoration of the last fifty years … and the next fifty years. When you see it, and see it you must, you will walk through rooms and halls and see what James and Dolley saw along with the throngs who visited them during their time there. For more information, visit montpelier.org. After that, plan a trip. Michael Purser | ©2016 The Rosebud Co.